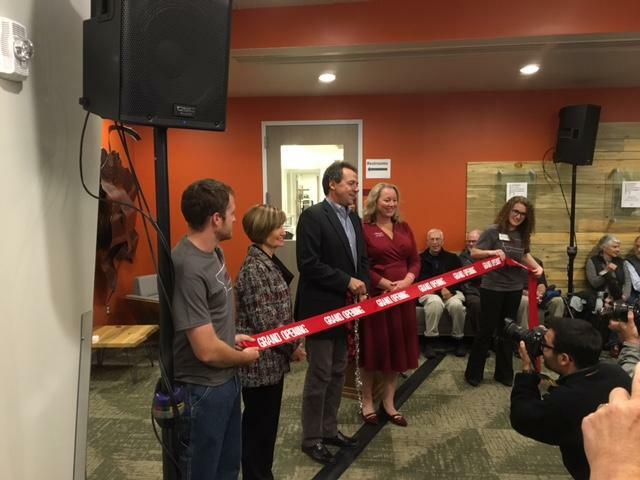 Governor Bullock cuts the ceremonial ribbon at the opening of Missoula College's new facilities. The new 115,000 square foot structure is located on the Clark Fork River opposite the central UM campus. It includes new culinary kitchens, a cybersecurity center, a cadaver lab and expansive library. The building was partially funded by the allocation of 29 million taxpayer dollars in 2013 after enrollment in the community college’s programs skyrocketed to 2,200, more than double the old building’s capacity. Katie Barnes is a big deal at the Missoula College culinary arts program. Her cooking skills have earned her national recognition. Those who know her say Barnes is, without doubt, going places in the industry. But just over two years ago her professional future was anything but certain.